ezRecovery combines DSC’s ezVault cloud backup services with managed standby compute, storage, and network infrastructure resources, allowing for quick and easy restoration of your vaulted data and the network environment it runs in. 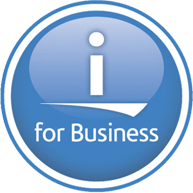 Gain performance with the latest IBM i technologies and dedicated resources for your business. Customize compute, storage and network components to meet your needs. Get the enhanced security of dedicated, physically isolated network, compute and storage layers. Data is encrypted and secure.